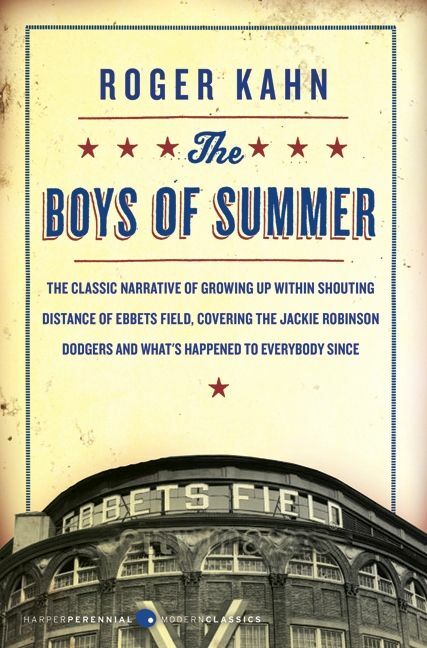 I suppose that somewhere along the line almost all baseball fans have run across Roger Kahn’s The Boys of Summer. It’s sold a gazillion copies, is on list after list of great baseball books, and has gone through a number of printings. So, in the wake of another failure of the Dodgers, this time the version in Los Angeles, not the one in Brooklyn, to win a World Series, it’s time to take a look at the book. To be up front, this is not the original version of the book that I’m reviewing. Just before the turn of the 21st Century, Kahn updated the book with a couple of chapters that let the reader know what had happened to the players profiled in the original 1970s book and then added a final chapter detailing Pee Wee Reese’s last days. That’s the book I’m looking at, not the original. Kahn begins his book with a long nostalgic look at growing up in Brooklyn, getting a newspaper job, then being assigned to cover the Brooklyn Dodgers in 1952 and 1953, two years they went to the World Series and failed to win (exactly like 2017 and 2018). He subsequently turns his attention to what happened to several members of the team after they retired. He interviewed four Hall of Famers: Roy Campanella, Reese, Jackie Robinson, Duke Snider and a number of other players like Carl Erskine (who is the only one still living) and Preacher Roe, Joe Black and Billy Cox. Their lives were a mix of joy and sorrow, or success and failure and Kahn looks at all of them with compassion and little judgement. The book is well written and successfully gives a glimpse of life in the Borough of Brooklyn at mid-20th Century. It is nostalgic, almost maudlin, in its look back. It is very well written and that is much of its charm. Kahn sets a mood and delivers well on that mood. It is sometimes called “the greatest baseball book ever.” I don’t think it is, but it is well worth the read. Copies are available at various places on-line. I found my copy at Barnes and Noble. A couple of days ago I did a little thing on those players who hit .400 and failed to win a batting title. In 1894 there were four of them, all in Philadelphia. 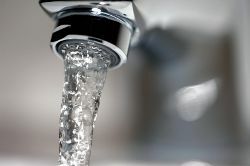 I commented that there must have been something in the water. So let’s take a quick look at what was going on in Philly in 1894. First we have to acknowledge that after the 1892 season, Major League Baseball, which at that point consisted solely of the National League, moved the pitcher back to 60″ 6′ and built a mound. It changed forever the way pitchers worked and how batter could respond. It made an immediate difference in the game. As just one example, in 1892 Dan Brouthers won the batting title at .335. In 1893 Billy Hamilton (who will be one of the waterboys in Philadelphia in 1894) won the title at .380. The last time a NL batting title was won by hitting over .380 was in 1886 by King Kelly who’d hit .388 (there were American Association titles that were higher, but the AA was gone by 1894). On the other hand strikeouts by pitchers dropped from Bill Hutchinson’s 314 to Amos Rusie’s 208. It wouldn’t be until 1904 (Rube Waddell) that the 314 would be surpassed. So acknowledging all that, what about the Phillies? In 1894 the team hit a team average of .350 and led the NL in hits. The starters were (with their batting average in parens) catcher Jack Clements (.351), and infield of (from first around to third) Jack Boyle (.300-lowest among the starters), Bill Hallman (.312), Joe Sullivan (.353), Lave Cross (.387), and an outfield of “Sliding” Billy Hamilton (.403), Ed Delahanty (.405), and Sam Thompson (.415). On the bench Tuck Turner who got into 82 games and had 347 at bats) was the backup outfielder and led the team with a .418 average. Backup catcher Mike Grady hit .363 in 61 games. From there the remainder of the reserves fell off with shortstop Tom Murray going 0 for 2 and hitting .000 (this doesn’t count pitchers who had some terrible averages also). What did all that hitting get the Phillies? It got them a record of 71-57, good for fourth place in the NL (behind Boston, New York, and pennant winner Baltimore who went 89-39), 18 games behind the winner and 10 games out of third place. The problem? Their team had the second highest ERA (5.63) in the league, were seventh in hits (in a 12 team league), and also seventh in strikeouts. What’s it all mean? Well, maybe good pitching does beat good hitting. Or maybe it just means that the 1894 Philadelphia Phillies could hit a lot, but didn’t pitch nearly as well. In case you’re curious, only Hamilton, Delahanty, and Thompson made the Hall of Fame. Again, thought you just might like to know. It’s been a long time since anyone won a batting title by hitting .400. You have to go all the way back to Ted Williams in 1941 to find one. But you know what’s kind of odd? There are a handful of guys who’ve hit .400 and not won the batting title. Here’s a quick list of them. First, one of my caveats. This includes on the period since the beginning of the National League in 1876. In the old National Association there were a couple of occasions when someone hit .400 and didn’t win the batting title, but those were incredibly short seasons. There surely were players who hit over .400 in the even older Association of the 1860s and didn’t win a title, but we don’t have enough information to determine them. So it’s at least easier to find the players since 1876 (OK, I’ll admit to being lazy). 1887-Tip O’Neill wins the American Association (it was a Major League in 1887) batting title at .435. Runner up Pete Browning hit .402. 1894-There was something in the water in Philadelphia in 1894 when the entire City of Brotherly Love outfield, and their primary outfield sub all hit .400. Billy Hamilton hit .403. Ed Delahanty hit .405. Sam Thompson hit .415. That was the starting outfield in Philly. Super sub Tuck Turner hit .418. And none of them won the batting title. Boston outfielder Hugh Duffy managed to hit a still record .440 to take the batting title. 1895-Delahanty again hit over .400, this time coming in at .404. Again he lost the batting title. This time to fellow Hall of Famer Jesse Burkett who hit .405. 1896-This time Hughie Jennings hit over .400 by ending up at .401. Burkett again won the title. He managed .410. That does it for the 19th Century and I suppose I ought to take a moment to remind you that the National League moved the mound back to 60′ 6″ just before the big outbreak of .400 hitting in 1894. Some hitters adjusted more quickly and obviously a lot of pitchers didn’t. 1911-Shoeless Joe Jackson hit .408, which is the record high in the 20th Century for a hitter that didn’t win a batting title. He lost to Ty Cobb who hit .420. 1922-Cobb was on the other end of hitting .400 and losing the batting title in 1922. He hit .401 and lost to George Sisler who hit .420. Interestingly enough, Rogers Hornsby won the National League title at .401. Had he been in the American League, he would have also joined the batting title losers who hit .400. Things have been a little goofy around here lately. I’ve been out-of-town and out of sorts for a while, so I’m a little behind on my 110 year later look at the 1908 season. But here’s a quick look at the World Series that season. Because of the short distance between Detroit and Chicago, the 1908 World Series was played on consecutive days from 10 October through 14 October. The games rotated between cities with Detroit getting the odd-numbered games and Chicago the even numbers. 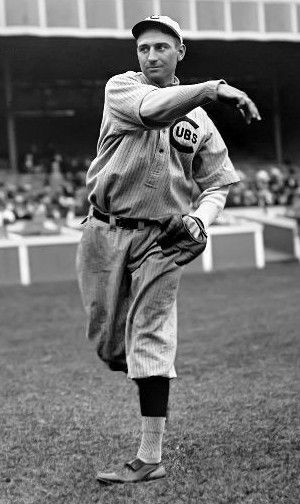 The Cubs were defending champions led by the celebrated (and probably overrated) trio of Joe Tinker to Johnny Evers to Frank Chance with Mordecai “Three Finger” Brown as the staff ace. The Tigers counted with an all-star outfield of Sam Crawford and Ty Cobb with Matty McIntyre holding down the other spot in the pasture. After the celebrated National League pennant race and the equally terrific, but less celebrated, American League race, the Series seems something of an afterthought. It went five games with Detroit winning game three only. The Cubs scored 10 and six runs in the first two games, while Detroit managed seven total. The Tigers win in game three was 8-3, then the final two games turned in more common Deadball scores of 3-0 and 2-0. Brown and Orval Overall each picked up two wins with ERA’s of 0.00 (Brown) and 0.98 (Overall) with Jack Pfiester putting up a 7.88 ERA (it shouldn’t surprise you to find out he took the Cubs only loss). For Detroit George Mullen (ERA of 0.00) got the team’s only win while ace “Wild” Bill Donovan took two losses, including game five. Among hitters, Chance hit .421 while Tinker had the only home run (game 2). 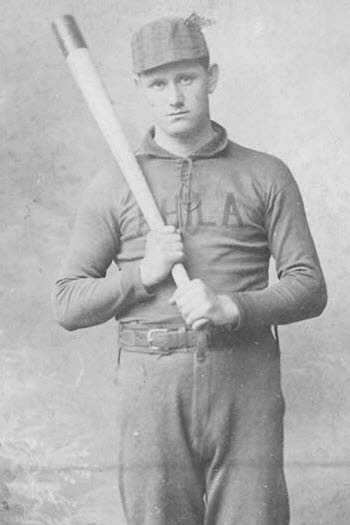 Outfielder Solly Hofman (of Merkle game fame) led the team with four RBIs. For Detroit Cobb hit .368 with a team leading four RbIs, while no Tiger hit a homer. It was a fine, if not spectacular end of a famous season. Chicago won its second consecutive World Series and its last until 2016. The Cubs would get one more chance in 1910 (against Connie Mack’s Athletics) then fade. Detroit would be back for another try in 1909. This time they would face the Pittsburgh Pirates, Honus Wagner, and a rookie named Babe Adams. With the regular season over, the National League pennant was still undecided. The Chicago Cubs and New York Giants had identical records, but there was still one game to make up, the so-called ‘Merkle Game.” The baseball world had never seen anything like it. There were fans clamoring for tickets even after the game began. There were stories in the newspapers about possible aspect of the game. The bettors were out in force. There was an eclipse of the sun, brimstone fell from heaven. Well, maybe not an eclipse or brimstone, but to read the accounts of the day, it was close. The game started well for New York. In the bottom of the first Cubs starter Jack Pfiester plunked Fred Tenney (playing first for New York, the position Fred Merkle played in the famous 23 September game), then walked Buck Herzog. A pick-off removed Herzog, but “Turkey” Mike Donlin doubled to score Tenney and a walk to Cy Seymour sent Pfiester to the showers. 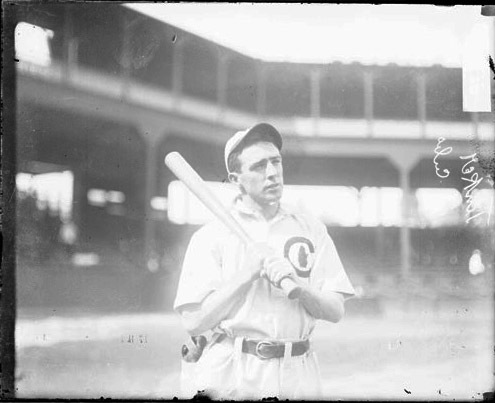 In came Cubs ace Mordecai “Three-Finger” Brown. He managed to shut down the Giants without either Donlin or Seymour scoring. Giants ace Christy Mathewson started for New York and got through the first two innings without damage. In the top of the third, Chicago shortstop Joe Tinker, who’d hit Mathewson reasonably well during the season (and had homered in the “Merkle Game.”) tripled to lead off the inning. A Johnny Kling single brought him home to tie the game. With two outs, Johnny Evers walked. Then a double by Frank “Wildfire” Schulte scored Kling and a two-run double by manager Frank Chance cleared the bases. With the score now 4-1, Brown cruised through the sixth. In the bottom of the seventh, New York staged a mini-rally. With Art Devlin on base, Tenney lofted a long sacrifice to score the second Giants run. It was all for the Giants, as Brown held them scoreless in both the eighth and ninth innings to secure the victory and the pennant for the Cubs. There were recriminations in New York and celebration in Chicago. For the Cubs it sent them to their third consecutive World Series. They’d won in 1907 and lost in 1906. For the Giants it was the end of a famous season. They would wait two more years before returning to the top of the National League in 1911. In 1908, the final day of the season was 6 October. On that date, the Detroit Tigers began the day 89-63, a half game ahead of both the White Sox and Cleveland. A Detroit win would clinch a title. As the baseball gods would have it, the Tigers played the ChiSox. Cleveland got the Browns. The Browns dropped the game to the Naps (now the Indians) 5-1, making them 90-64 for the season. Both games were played in the Central Time Zone (St. Louis and Chicago). I was unable to find out if the Naps knew the outcome of the Chicago game before their own ended. I also couldn’t find out it the teams in Chicago knew that Cleveland won. The Tigers sent Wild Bill Donovan to the mound to face Doc White. The game got out of hand quickly as the Tigers scored four first inning runs off the White Sox and tacked on another in the second. They added two more in the ninth to take the American League pennant 7-0. White didn’t get out of the first inning. Reliever Ed Walsh went a little more than three innings, and Frank Smith finished the game. Combined they gave up 12 hits, struck out six, and didn’t walk any. Donovan twirled a two hitter, both singles, walked three, and struck out nine. 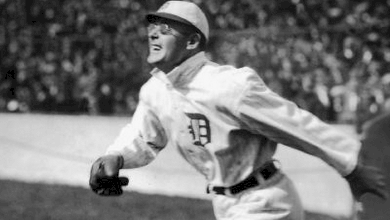 For the Tigers, Sam Crawford had four hits, one a double, and scored two runs. Ty Cobb racked up two hits, the big blow being a triple. The final tallies for all three teams stood at 90-63 for Detroit, 90-64 for Cleveland, and 88-64 for the ChiSox. Detroit had a tie, Cleveland had three, and Chicago four. By the rules of the day, ties did not have to be made up. So the rules in play for 1908 gave the Tigers a half game lead and the pennant. That rule is different now. In the National League it was another story. The Giants had a made up game the next day and won. That left New York at 98-55, in a dead tie with Chicago. But each team had a tie, the so-called ‘Merkle Game.” Under the earlier decision by the National League leadership, the game would be replayed 8 October. On 2 October 1908, with both Cleveland and Chicago still alive for the American League pennant, the two teams met in Cleveland. By the time the game ended, some newspapers christened it “the greatest game ever pitched.” Over 100 years later it still has some claim to the title. 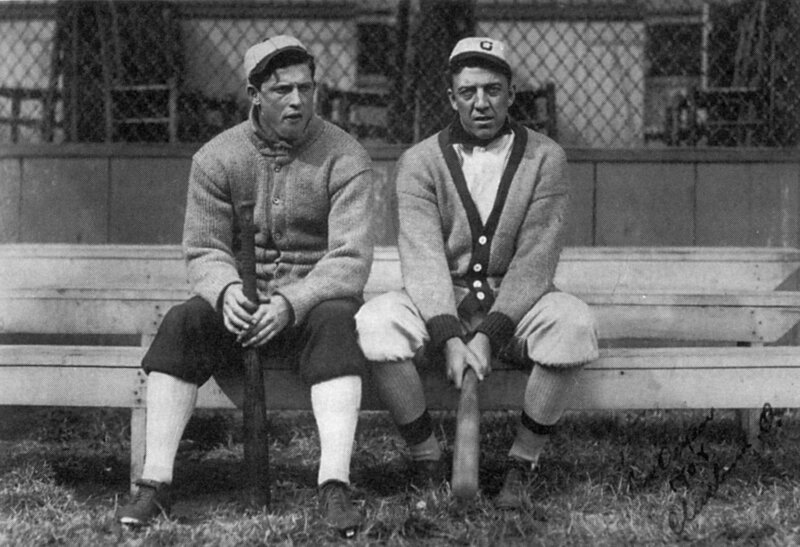 The two pitchers were twin Hall of Famers Addie Joss and Ed Walsh. Joss came into the game sporting a 23-11 record while Walsh was 39-14. Both were staff aces and each was on the verge of completing an extraordinary season. Both men got through the first two innings without harm. In the bottom of the third Cleveland outfielder Joe Birmingham singled and stole second. Walsh, a noted spitball pitcher, uncorked one that White Sox catcher Ossie Schrecongost let slip by for a passed ball. Birmingham scampered home for the first run. And it was to be the only run of the game. Walsh was magnificent allowing one unearned run on four hits and a walk. He struck out 15 in eight innings. But this was Joss’ masterpiece. He threw 74 total pitches, struck out three, and allowed not one Chicago runner to reach first. It was a perfect game, only the second in American League history (Cy Young had one in 1904). For the season Walsh would win 40 games, strike out 269, have six saves, 11 shutouts, and an ERA of 1.42. All of those except the latter led the AL. With an ERA of 1.16 Joss took that title. In the modern category of WAR, Walsh ended the year at 10.0. Joss was at 8.6. It wasn’t a deathblow to the ChiSox. They were 2.5 games back (three in the loss column) with four games to play. One more game with Cleveland was followed by a three game set against the league leading Detroit Tigers. For Cleveland it put them only a half game back of Detroit (two in the loss column). They had the one game left with Chicago then had a four game series with the St. Louis Browns. Both still had a pennant shot. For Chicago, the three games against Detroit would make or break their season. A brief note to congratulate all the playoff teams. Although I always root for the Dodgers, I hope for a good postseason with lots of thrills and a quality set of games. Congrats to the Dodgers, Brewers, Braves, Cubs, Rockies, Astros, Indians, Red Sox, Athletics, and Yankees. You are currently browsing the Verdun2's Blog blog archives for October, 2018.